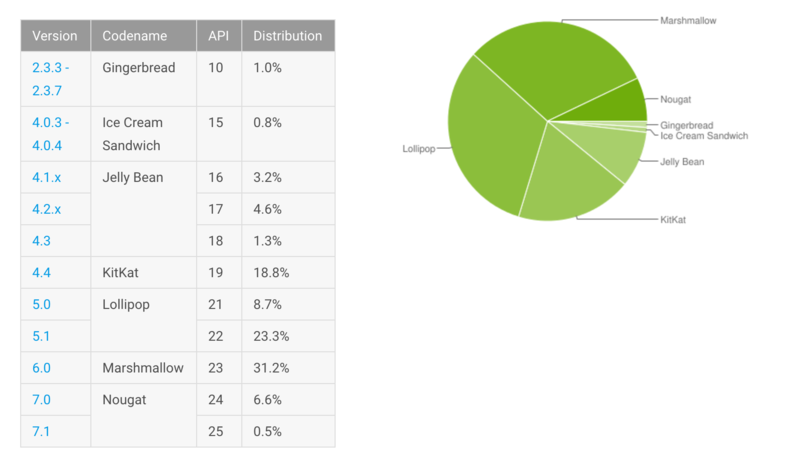 The Android distribution numbers have been updated for May, 2017, and wouldn’t you know it, Nougat has seen a massive increase in usage. By massive, I mean a solid 2.2%. Huge. Now at 7.1%, up from last month’s 4.9%, Nougat really seems to be rolling out well, with devices getting the update all the time it seems.